Uh oh, things are getting shaken up on the You Show set. Brian and Alan think they are ready to “crank things up” with video, but the “Consultant from Vancouver” (played by Tannis Morgan from the Justice Institute of BC, who was visiting TRU) takes command. She is bringing in the real technical crew. 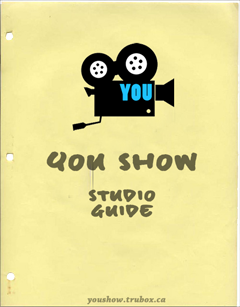 We are going to be taking a one week hiatus from the You Show, to give folks a chance to catch up and or to catch a breath from the insane pace we have been setting. We have no events nor activities scheduled for this week, but we are certainly available for consulting on your media efforts or your blogging design / practice. Look for a whole new You Show next week!